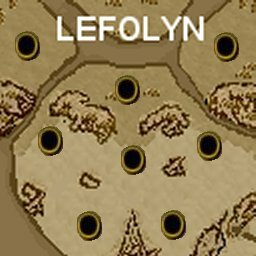 Lefolyn, named by the elves for its beautiful narrow passes and well watered lands. Now the forces of good must battle the evil in this land. This is an exciting 8 player map meant to be played by one to three forces of good to the north, against one to five forces of evil to the south (AI players should be set to Brutal). The map is well blended and a rich topography. Hope you enjoy it. wow cool someone other then me posting new maps! I had quite a lot of fun, while I was playing this map, but the caves are sometimes to close to some camps and some camps are really harder to defend! Not very balanced, as I have said at playability! Well quite creative, but you don't have a story and your artwork is a little basic. Too flat, to much of the same sort of ground at some places. I don't like the way how sand suddenly becomes grass! U're layout isn't very good either. Quite a good map, better than most I have played! Just your layout and artwork can be better! I like to play this 1v7 brutal. But too unbalanced for a free for all. Playable 3 v 5. Not so bad map but in this case i like playe more or a castle map (Helm 2v3) or a true ffa map.